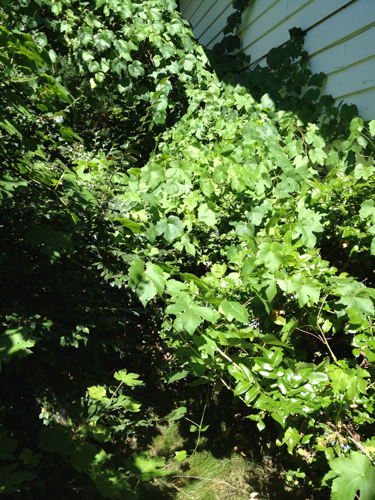 Do you have grape vines growing around your house? 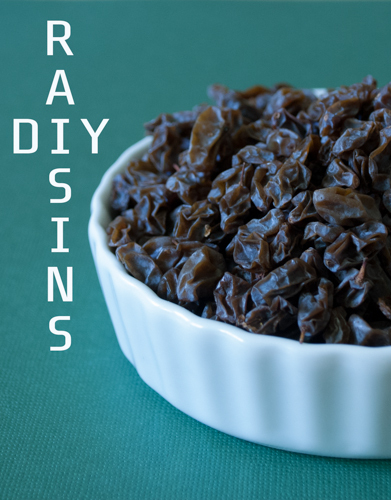 Today’s DIY is perfect for you, Homemade Raisins. I am very lucky to forage so much of nature’s bounty from my very own backyard. A few Saturday’s ago it was lavender sachet bags. 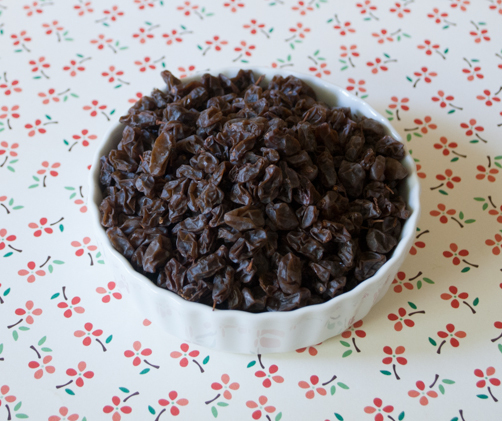 I heartily recommend making raisins if you have grapes growing on your property or can forage them. I do not recommend buying grapes and making raisins, the cost and time involved would not be worth it. 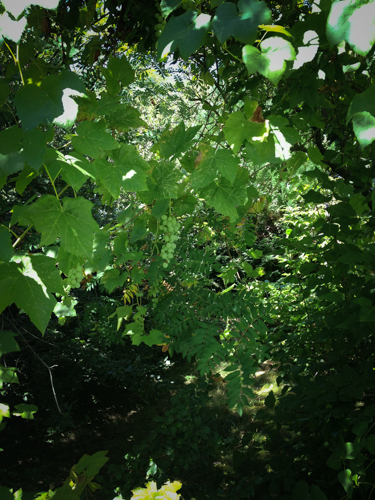 Our area of grape leaves are in a corner of the yard that hadn’t been cared for in years. Grape vines in the wild stretch and reach across all other trees and surfaces, similar to what I imagine happens to the castle in Sleeping Beauty. 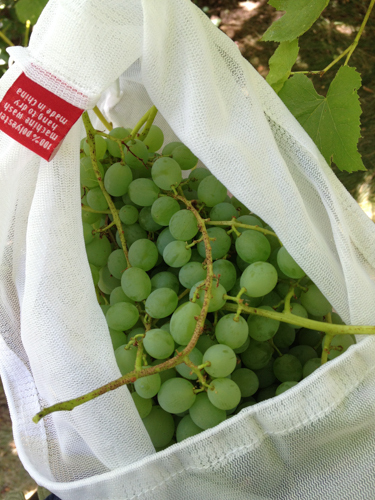 Harvest the grapes using shears or by pinching the stem off of the branch. Collect them in a bucket or farmer’s market bag. Collect as many as you want, there are no restrictions or quotas to meet. I picked enough that I filled 3 dehydrator trays. 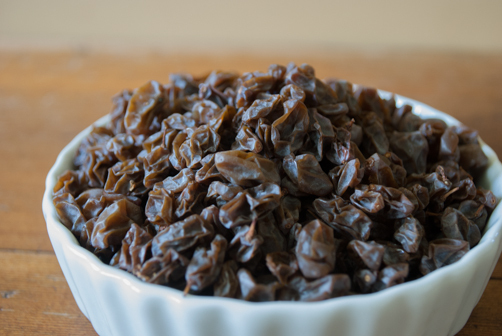 Dehydrate at 110F for 48+ hours – until they look and taste like raisins. Store in a ball jar or ziplock bag – keep in the refrigerator or pantry shelf. What do you forage in your backyard? Nice article! To cut your dehydrator time in half you can “check” your grapes. simply dip them in boiling water for about 2 minutes then into ice water. This will crack the skins and they will dry faster by allowing the moister somewhere to escape. You can also cut your grapes in half to speed up the process (place skin side down on the trays), they still come out fantastic! Here are some white grapes that I dried. Oh wow! That’s an awesome tip Jeff! 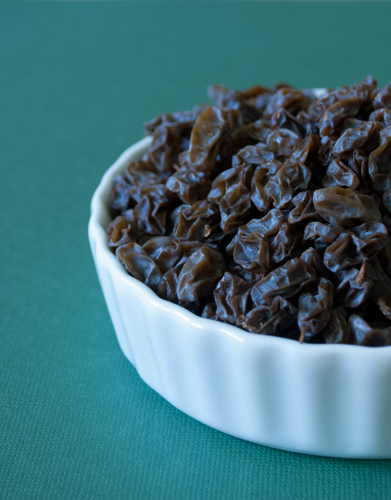 Thanks for sharing and the raisins look delicious!